I realized I actually seldom talk about how I take care of my nails or how I do my manicure at home here in my blog! It's weird because I changed my nail color often and I do obsess with anything about nail! My girlfriends who been to my place were all quite surprised with my nail polish and nail stickers collection. I have both of them (nail polish & nail stickers) because I do sometimes need a quick fix without any waiting time. 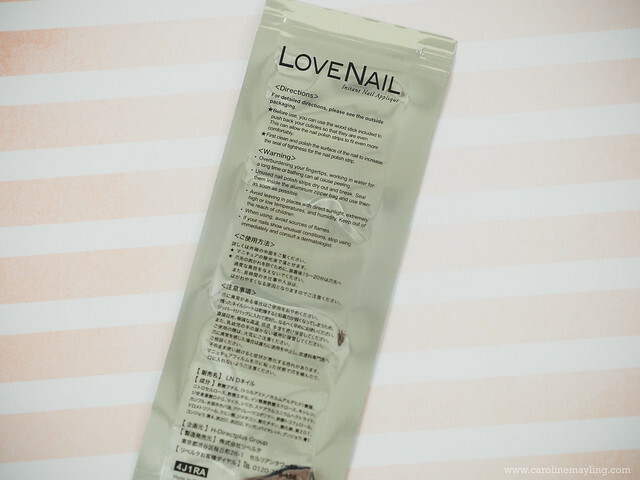 And hey, I thought I wanna share with you guys about this new product that has landed in all SaSa Malaysia outlets - Instant Nail Applique by Love Nail. SaSa Malaysia had kindly sent me two new products that have landed in their outlets. 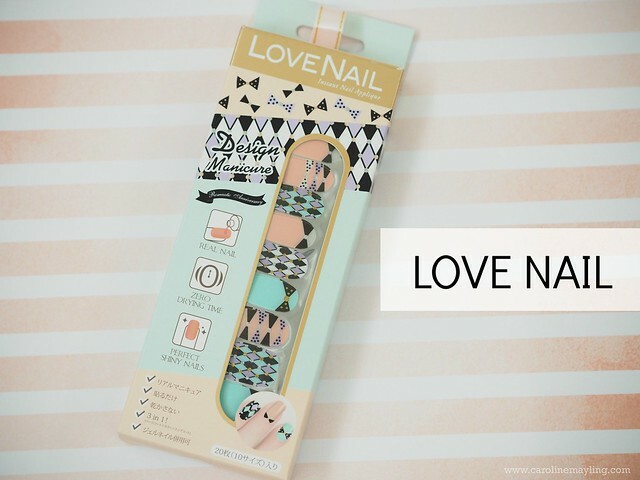 First, let me share with you about this instant nail applique by Love Nail. The one that I've received was - Design Manicure (Romantic Anniversary). With peachy and minty pastel-ish color of the packaging, giving a sweet and romantic touch to it. The packaging also has the step-by-step instruction on how to use the instant nail applique, it's in Japanese though. Fret not, because the application is really easy and you probably only require maximum 10-minute to get entire nails done! What's included in the packaging? 20 pieces of instant nail appliques, a wood stick and a nail buffer block. I really love they keep everything in a well-sealed plastic-foil packaging that protects the nail appliques. 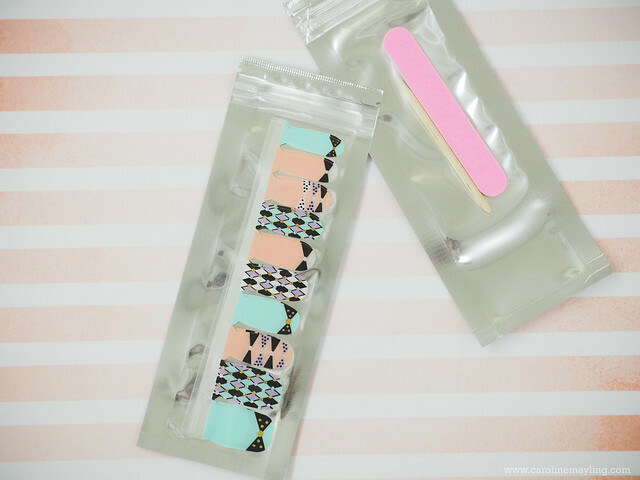 What really excites me to try out these nail polish strips - the strips are made of REAL NAIL POLISH! Each strip includes the base, color and top coats. And guess what! It can last up to 14 days long! Instructions can be seen behind the plastic-foil packaging. I can get enough with how lovely and sweet the entire nail design series for Romantic Anniversary! It's not only perfect for that special anniversary but can be worn daily too! I really love the fact that I can have pretty nails instantly with these instant nail appliques! No waiting time and you also get the perfect salon effect manicure at the same time! You can find a detailed instruction on how to use on their website HERE. I am going to show you how I apply it on my nails here! First, always clean your nails and buff your nails before any nail polish/instant nail applique onto your nails. I started it by cutting each nail polish stripes then only select which nail polish strips that fit my nails perfectly. Before the application, I would use the wood stick included, to push back the nail cuticle so that they are even and so that the nail polish strips can fit in perfectly. 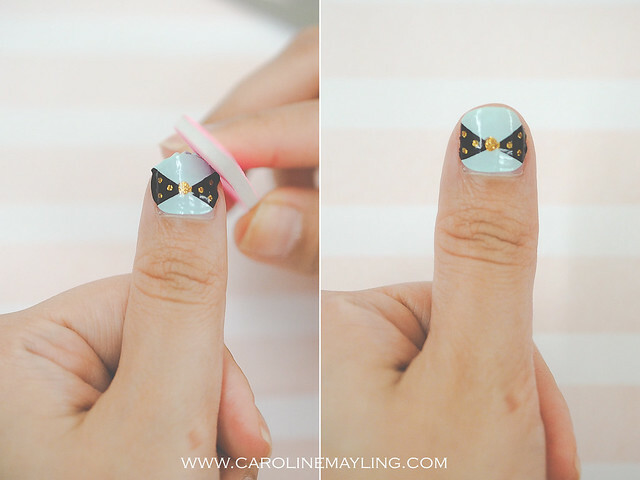 I would prefer to cut down the length of the nail polish strips for easy application. Be sure to gently remove the clear film from top of the nail strips and also the clear film from the bottom of the nails strips! You can either use your finger or a cotton bud or the wood stick to smooth out the nail surface. 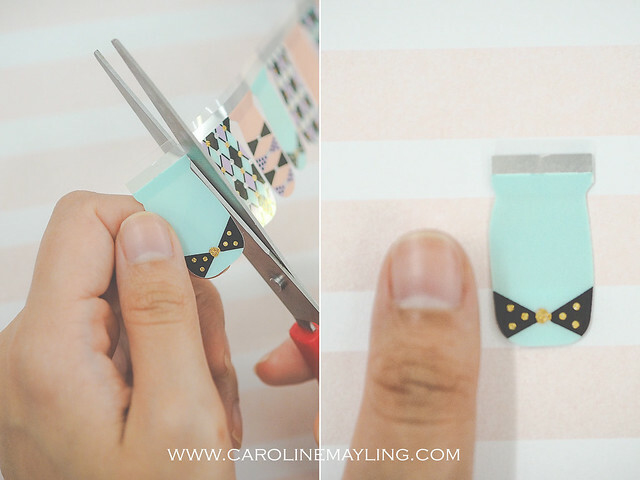 Last but not least, all you need to do is file the excess nail strips gently and voila! You now have the perfect nail art manicure instantly and easily! And, no more worries on excess nail polish on your skin or smudged nail polish. Here's the finish look of my nails with the instant nail appliques by Love Nail on all of them! Trust me, zero skill is required to apply these instant nail appliques onto your nail even if you're a beginner. This is because it features excellent expansion and boy, it was so easy to smooth out the nail surface and fitting it perfectly onto my nails! And oh, due to all these instant nail appliques are made of 100% nail polish featuring the 3-in-1 functions including the base, color and top coat application, there's no need to worry if it going to damage your precious nails. Of course, you would need a proper nail polish remover to remove these instant nail appliques nail application on your hand! Faith In Face Hydrogel Mask Review + Giveaway! Happy 11th Birthday to Sonny Angel!